Late last month, Mac Otakara reported that Apple had ordered carbon fiber components for an unknown product from a Japanese company. The order was said to be too large to simply be a sample, but no other details on the part were revealed. Mac Otakara now reports that the shipments are actually the result of a long-standing partnership between Apple and the carbon fiber company dating back at least three years. I reported Apple ordered some - huge number of - sample of carbon fiber products for Japanese company, and now I tell that research devision of this company has been co-operated with Apple at least for 3 years. 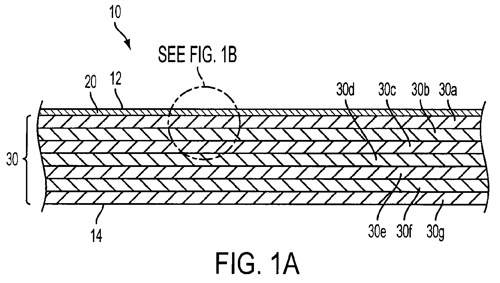 Details on the exact part or the device for which it is intended are still unknown, but Apple is said to be looking to create a "completely different weaved fiber" from that used in other products. Apple's interest in carbon fiber is well-known, and several rumors had suggested that Apple was at least toying with the idea of using a carbon fiber rear shell on the iPad 2 to increase strength while decreasing weight. Those efforts obviously did not pan out, but it seems clear that Apple continues to be interested in the material. Black carbon fiber mock turtlenecks. "They only last 5,000 Miles and are $800 a tire but people still buy them because the look good." It's probably just carbon fiber sim card ejectors. You know, to test it out. Isn't it obvious?! Apple is setting out to create the world's most comfortable blanket! It's definitely carbon fiber RAM for new ultra light weight notebooks. it could so easily be fake. I don't think it will be visible to the consumer. Carbon fiber doesn't match their design aesthetic. The woven look is antithetical to many of the pure, smooth surfaces apple uses. Say what you want about aluminium, but at least it can be recycled practically indefinitely. I don't even know if carbon fiber can't be recycled at all. Given the quantities of Apple devices manufactured, switching from aluminium to carbon fiber could possibly be the worst decision ever done by Apple. Yeah, and with a proprietary, chip-authenticated air valve that is incompatible with all gas station air hoses. Adapters will be available at $30/valve. First it was liquid metal, now it's carbon fiber...what's next? Dilithium crystals? "She can't take anymore Jim! I'm given her all she'll take"!